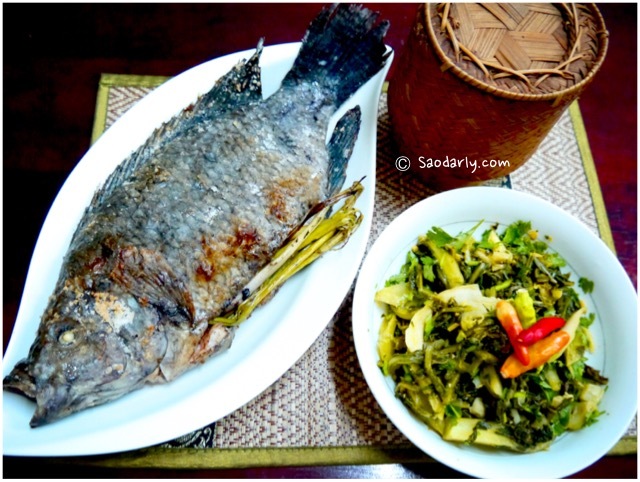 Grilled Tilapia Fish (Ping Pa Nin; ປີ້ງປານິນ) and Pickled Mustard Green (Som Phak Kard; ສົ້ມຜັກກາດ) for dinner in Vientiane, Laos. 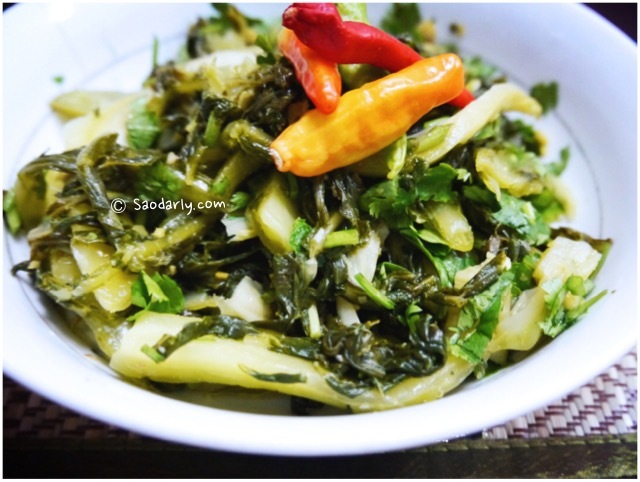 My Aunt made the pickled mustard green yesterday and it was ready to be eaten by tonight. My cousin went to Kok Pho Market and bought a few Tilapia fishes for the grilling. 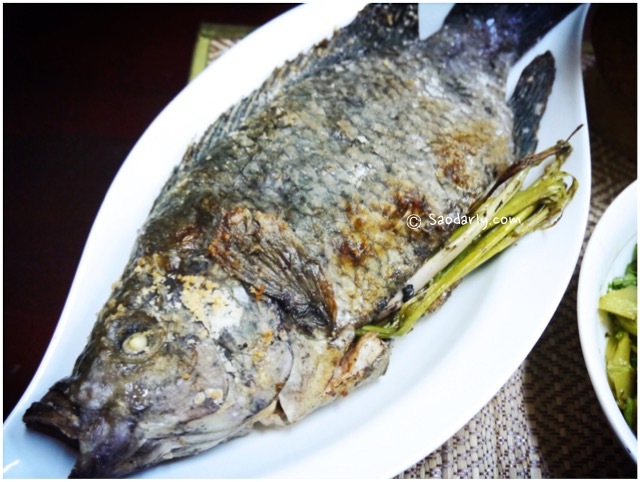 After cleaning the fishes, she stuffed them with lemongrass and other herbs, season with sea salt before grilling them just right. It was a simple but delicious dinner with freshly steamed sticky rice to go with the grilled fish and pickled mustard green.